There are wonderful sights and locations surrounding the area outside Alcocebre. Please note: Alcocéber or ‘Alcossebre’ are actually the same place but with different spelling. the amazing coastal Roman city of Tarragona and the art centre of N E Spain- Barcelona or south towards the paella centre Valencia, shopping and the old Roman viaducts of Castellon. on hilltops, medieval monestaries or pretty traditional Spanish towns- like Morella-each with their markets, local arts and culture. and the Ebro Delta wildlife park. Ask at Vanessa Van Camp’s office or ring Discovery Tours on 964 41 4695. 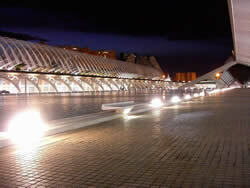 Take CV 340 to Castellon –famous for it’s Roman history, viaduct and theatre. There are signs from the motorway to key Roman sites. On entering the city go to the centre. In the centre is an underground car park where you can most easily park your car. Close to the car park there is a pleasant place for coffee “Café Roma”. 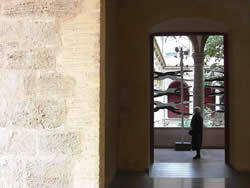 From here, within a short distance, you can visit a number of interesting places including churches and museums. In the town centre is the Plaza Major in which stands THE FADRI TOWER separate from, but part of the CATHEDRAL OF SANTA MARIA. Also adjacent to the square is the MUNICIPAL MARKET. MORELLA is a fortified, hilltop town, Roman in origin but much occupied and modified by other powers throughout the centuries. The town is dominated by its Castle, which stands like a great Christmas Cake above its housing and church, when viewed from a distance on the approach road. The town remains protected by its wall and defensive towers which appear to be very much in their original state. Wandering through the streets of the town one is conscious of the little change that the centuries seem to have imposed upon the place, not only from the buildings but also from the impression one gains from the people themselves. We spent some three to four hours in the town visiting among others, the Castle and the magnificent church the High Altar of which is quite unique. An excellent meal can be had in the restaurant of the hotel “Cardenal Ram “ the menu of the day is recommended. From Las Fuentes follow the N340 to Vinaros and then the N232 to Morella . Driving time about one and a half hours. The road winds through mountainous scenery with pleasing, constantly changing views until Morella can be seen standing upon its defensive hill. As an alternative route one can return to Las Fuentes via the CV12,CV15. The road is winding but presents many magnificent views. From the C238 branch off in the region of Castellon and take the N340 to the Alcocebre turn off. NB. Monday is a quiet day as most of the shops are closed on this day, however there is an advantage in this as the town has less visitors . On the highest hill in the area stands a large white building. In the past it has possibly been a church or a monastery. From this location it is possible to view a magnificent panorama embracing both the coastline and the coastal towns, while the major agricultural area is laid out in a birds eye view on the other side of the hill. In addition to the magnificent panorama Sunrise and Sunset can be spectacular from this vantage point. From the apartment turn right out of the car park, at the roundabout take the first exit, go to the end of the road turn left to the roundabout, (by Vanessa Van Camp’s office) take the first exit and then the second road to the left . Continue on this road until you come to a dead end sign on the road, take the road immediately on your left and continue on this until you reach the car park of the Church. Driving time about 15 - 20 minutes. A visit to ALCALA CASTLE. 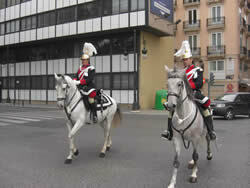 Alcala Castle is situated some 10 miles west from the apartment . Go to the N340 and take the direction towards Benicarlo, after passing under the railway bridge look out for a signpost on your right that indicates the way to the castle. The castle is in the state of major renovation and cannot be entered at all times; the location itself however is worth a visit as one is able to walk around the site from which there are quite spectacular views over the surrounding countryside. Afterwards do drive into Alcala itself (look for the church spire) where the church is well worth a visit. 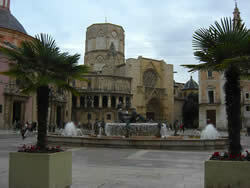 Alcala is typical small town and the parish church Sant Joan Baptista remains the centre piece for this little place. Please note- its weekly market is a great place to buy fresh vegetables and fruit. Alcala is a useful route direction for driving west into the ‘out of the way’ sierras. This can take you right into very quite, barren areas punctures from time to time with arrivals at hill top little towns, many churches, dried river beds and stunning views across the deserted landscapes. If you follow a map you can comfortably end up in Morella- approaching it from the west side. We highly recommend a day driving in this region but take a camera, a Spanish phrase book, a good small scale map (there’s usually one in the apartment) and please do fill the car up before you leave! Only 10 minutes drive from the apartment, on the N340 road towards Castellon, there is on the left hand side of the road a large display of ceramics and pottery and gifts-not everyone’s favourite activity but this is very local for some quick gifts. Shops associated with the displays provide an opportunity to purchase ceramics and other goods and there is also a well serviced petrol garage next door. This is a good price garage and ideal for topping up before getting onto the motorway or traveling west into the more deserted areas. Some twenty minutes drive up the coast north from the apartment is the city of PEÑISCOLA . Peñiscola is a gorgeous mediaeval walled town built on a promontory. 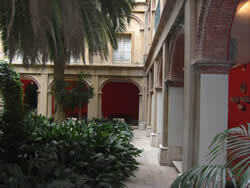 In the fourteenth century, its castle was the stronghold of the antipope Pedro de Luna, Benedict XIII. It was used to represent a Moorish Valencia in the film "El Cid" (yes, the one with Charlton Heston). It has a thriving tourist industry, its hotel-backed wide beaches running almost unbrokenly up to Benicarló. Dominated by the Castle you can visit and walk throughout the fort, seeing exhibits, the pope’s rooms, the roof terrace and military rooms and dungeons. From the upper walls of the top you get an impressive view of the whole city and coastline below. There is an excellent choice of bars, small snack places and of course a few good restaurants - in particular there are some super sea food restaurants to be tried to your fancy. Valencia, in the north of the Costa Blanca was, last year, host to the 2007 America's Cup, making this the first port in Europe to do so since 1851. Valencia, on Spain's eastern coast, was chosen for its tourism and the steady summer weather conditions and changing winmd patterns guaranteed that sailing’s oldest tournament was an exciting and amazingly successful event..
Valencia is steadily emerging as the newest popular weekend / holiday destination. It has experienced 10 consecutive years of growth in tourism and this is just the beginning. 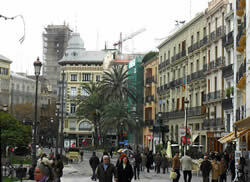 The word is spreading all over the world and the values and experiences of visitors is building a reputation for this old romantic Spanish city. Valencia has a totally stunning and compact old town centre, packed with gorgeous buildings, historic sights, elegant squares, formal gardens, museums and charming little streets. It is a total delight to get lost in it and soak up the atmosphere. The Historic Centre bears the marks of 2000 years, in a spectacular mix of Roman, Muslim and Christian civilizations. The world famous futuristic City of Arts and Sciences is an unbelievable thing to see. This is truly new millenium tourism. But it doesn't end here - walking through Valencia you will see a whole lot of ultra-modern, breath-taking, futuristic architecture. The contrast of gothic, baroque and classical living side by side with the space age. 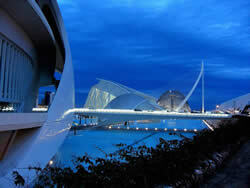 Valencia is packed with museums, theatres, art galleries and fairs. The local government is passionate about promoting culure and constantly puts on new arts projects, culture events and festivals. 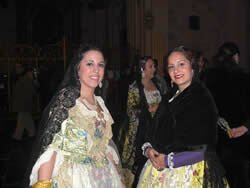 There is always something going on in Valencia, always a pleasant surprise. Valencia's yacht club was founded in 1903, making it one of the oldest clubs in Spain. Nowadays, with a surface area of over 400,000m2, it is one of the largest and most modern yacht clubs in the country and offers a wide range ot facilities. It has 1.252 moorings in total and its jetties are home to one of the best fleets of cruisers in the Valencian region. Every weekend it plays host to a number of regattas and the club also holds national competitions in which top Spanish sportsmen and women take part in cruiser races and regattas for the 470, Optimist and Snipe classes..
Other attractions include numerous world class golf courses, one of the biggest football clubs in Spain (Valencia CF) and one of the regions most passionate followings, the Motorcycle GP at Valencia. 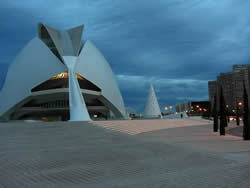 Look up Valencia on line- Why not book your holiday to coincide with one of these fantastic events?